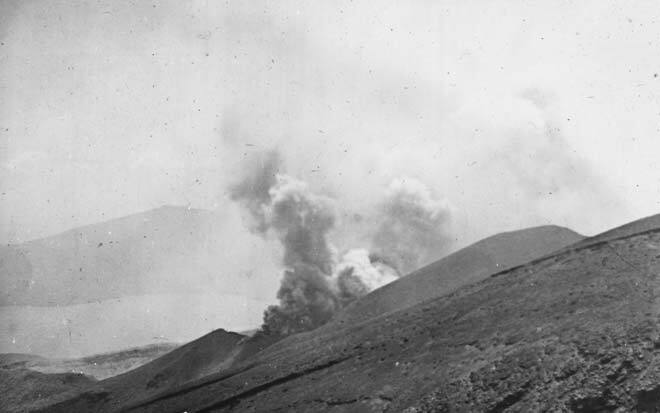 Ash clouds rise from the upper crater of Te Maari. The view is from the south-west, on the track from Ketetahi to Central Crater. The date of this photograph is uncertain, but it was probably taken in the 1890s.